It took former heavyweight champion Brock Lesnar less than 24 hours after announcing that he was re-signing with the WWE and retiring from mixed martial arts to start second guessing that decision. It had nothing to do with his passion for professional wrestling or his desire to work for the WWE. 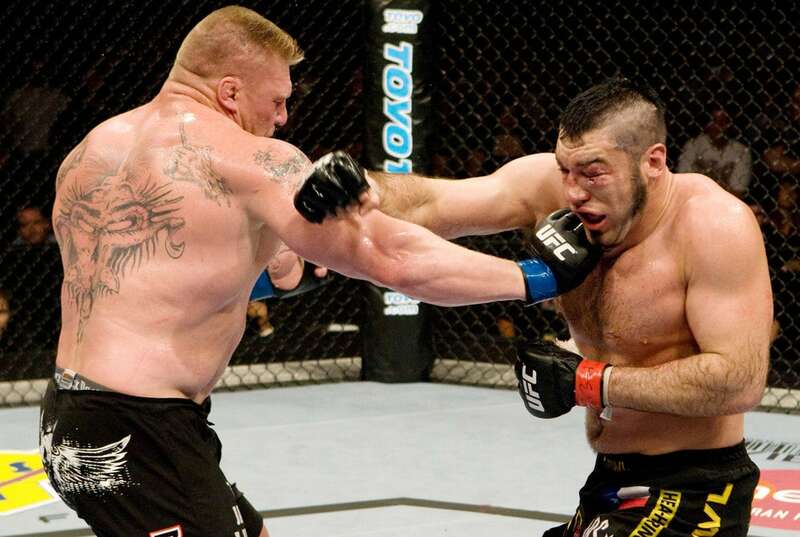 It was because Lesnar felt robbed his last few years spent in the UFC while dealing with a debilitating case of diverticulitis that put him out of action for more than two years during the prime of his fighting career. "It haunted me because, at the top of my career, I wasn’t at the top of my game," Lesnar explained when speaking on ESPN on Monday. "So I felt like I was cheated out of my career with the UFC." In my mind and in my heart, I never lost to a foe, I never lost to my opponent. I lost to diverticulitis, that was my opponent that beat me. Other people may have other thoughts and say other things about the way I performed. My performance was due to the illness. 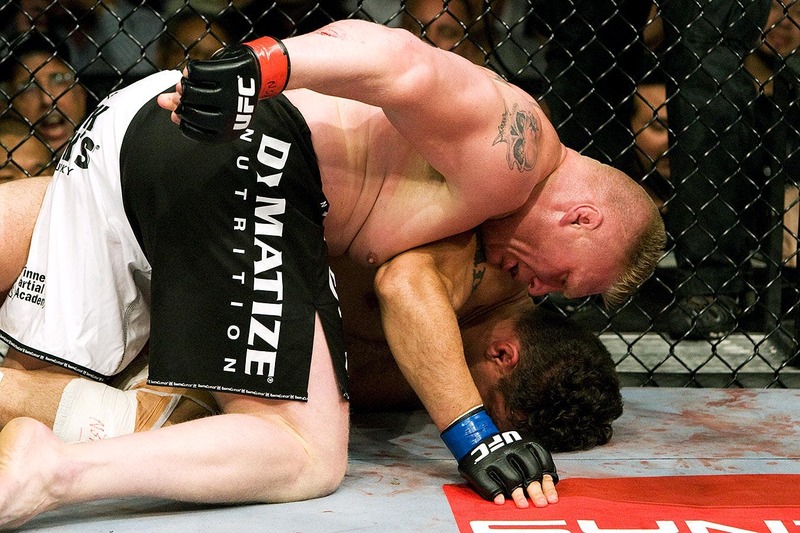 Over the last few years after exiting the UFC, Lesnar has rebuilt his body from the ground up, and he’s defeated the diverticulitis that stole so much of his time fighting in mixed martial arts. He’s successfully transitioned back to a full-time professional wrestler, and his body has held up. Along with the itch to fight again that never got scratched even after he decided to re-sign with the WWE, Lesnar finally decided that it was time to pursue another fight. So he called UFC president Dana White and pitched him on the idea of returning at UFC 200 in July. "It’s very simple, nobody called me, it wasn’t anyone else’s idea," Lesnar said. "Dana didn’t pick up the phone because we need to fill a spot. It didn’t happen like that. I picked up the phone. It was me. "It’s been three months ago, but it’s taken some time for things to play out, but I just said, ‘What are the chances of having Brock Lesnar on the card at UFC 200?’ and we got together. Obviously, I’m still under contract to WWE. You just go in and sit down and have a big blank conversation with the boss, Vince McMahon. It’s simple. It’s big business. It’s billionaire business, and I’m big business so why the hell wouldn’t anybody want Brock Lesnar involved?" Lesnar says that McMahon had zero issues with him returning to the UFC for another fight. The company has even promoted his appearance along with a return to the WWE in August as part of the upcoming SummerSlam card. The same could be said for White and the UFC, who welcomed back Lesnar with open arms after he produced some of the biggest pay-per-view numbers in the history of the promotion. "Big business," Lesnar said. "At the end of the day, I’m a prize fighter. Listen, titles don’t pay the bills. I’m a prize fighter, I fight for money. It’s no different. They’re making money, I’m making money, everybody’s making money. That’s what this is all about, but more importantly it’s not about the money to me. I’ve always said money’s very important to me, but you can’t step inside the Octagon just for the money. "This is in my heart. This is from the heart and it just so happens I’m making a boatload of money." Now Lesnar faces Mark Hunt in the co-main event at UFC 200, and he’s healthy in mind, body and spirit and ready to let his force be felt inside the Octagon again. "I’m sitting here today, I feel 1,000 percent. 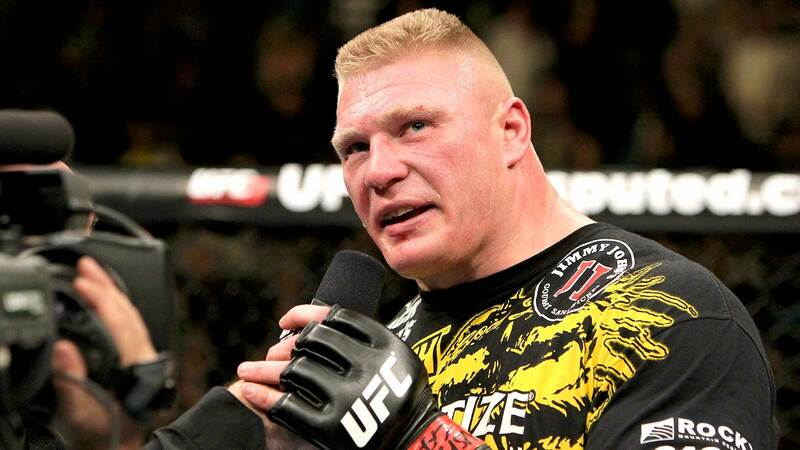 I wouldn’t get in the Octagon if I didn’t," Lesnar said. "I’m not a second guesser. The only thing I second guessed was my decision of stepping away from the Octagon. "I know it’s been a long time, but I feel great. I don’t have to fake it. I’m not faking and telling anybody that I’m in the greatest shape of my life or something like that. This is for real. This is for real and I’m so excited and I’m glad for my decision." As far as the future goes, Lesnar can’t say for sure that his desire to fight will be satiated with only one bout back in the UFC, but after the event on July 9 wraps, he’s turning his attention back to the WWE. "It may just be a tease but I don’t know the answer to that question right now," Lesnar said about his future with the UFC. "We’ll cross that road when we get there, but first and foremost, I’ve got a big event after this event, SummerSlam for the WWE so I’m a busy beaver."